WASHINGTON -- The National Highway Traffic Safety Administration in the U.S. said that new testing is prompting Takata Corp. to declare 2.7 million airbag inflators defective in Ford Motor Co., Nissan Motor Co. and Mazda Motor Corp. vehicles. Takata airbag inflators are already linked to 17 deaths -- including 11 in the U.S. -- and more than 180 injuries worldwide, and the recalls will eventually cover more than 100 million inflators. The auto safety agency said on Tuesday that new testing is prompting the recall of some driver-side airbags built from 2015 back through 2012. Nissan said it will recall 627,000 Versa cars from 2007-2012 model years, including 515,000 in the U.S. "out of an abundance of caution." It will notify owners within 60 days with additional instructions. Ford spokesman John Cangany said the issue covers about 2.2 million Ford vehicles, and the company has five days to respond to the Takata filing. The automaker is "aware of Takata’s submission, and we have been in regular contact with the agency on the issue. Importantly, we aren't aware of any incidents, and test data doesn't suggest any issues," he said. Mazda said the new recall impacts just 6,000 B-series trucks. More than 65 percent of 46.2 million previously recalled Takata airbag inflators in the U.S. have not been repaired. Takata filed for bankruptcy protection in June. "Takata has told the public that their line of airbag inflators with moisture absorbent was safe. 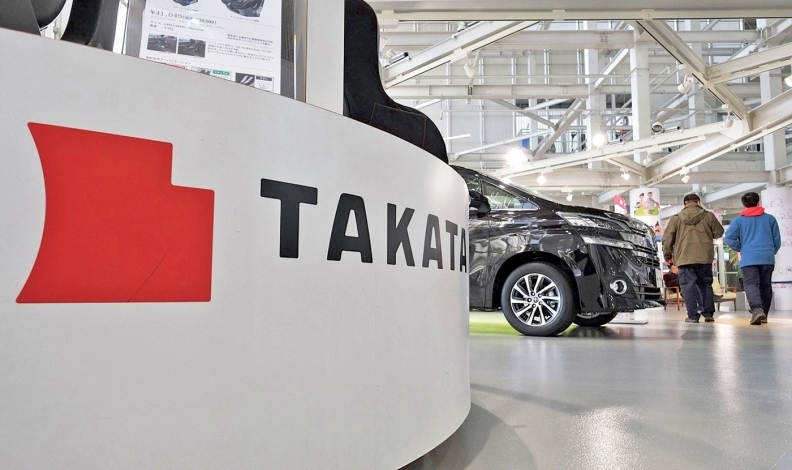 This recall now raises serious questions about the threat posed by all of Takata’s ammonium nitrate-based airbags," U.S. Senator Bill Nelson, a democrat from Florida, said in a statement. "If even more are found to be defective, it will take us from the biggest recall ever to something that could become mind-boggling." Nelson has been a leading advocate for expediting the Takata airbag recalls. His state likely has the most drivers at risk because of its consistently warm and humid climate.